And here's the basic info on the game. This game is about a huge dungeon with a deep backstory; the player must go through many levels of the dungeon to defeat a demon holding his prisoners captive. It is a rougelike, and the player can discover many interesting secrets of the dungeon along the way, as well as sad and touching backstories on some prisoners. 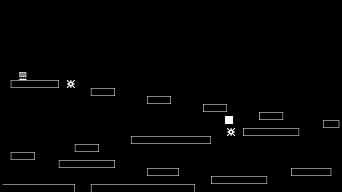 I know; the graphics look "primitive", but I felt it was a smart move because it's in 1-bit monochrome style; plus, it could actually stay; you never know. And did you know that this kind of game was my first actual one ever? 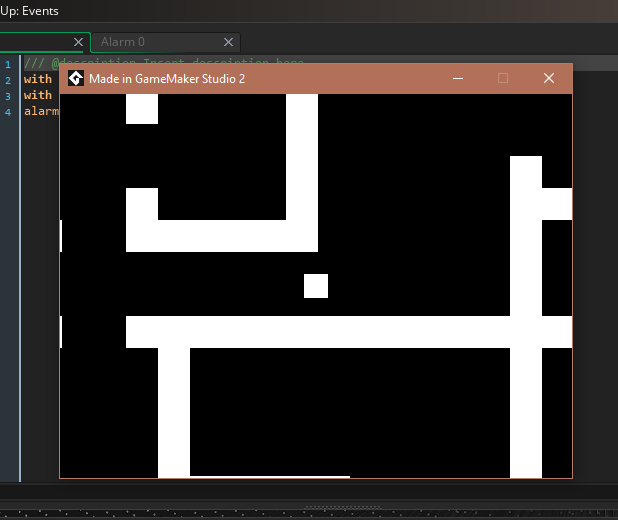 Yep, it was called "Maze", and I was using GameMaker Legacy at the time. Update: I've decided that the Demonator will actually have a true name, but it's a secret to everybody . . . for now . . .
From time to time, a battle will happen, and you must defeat the emeny to proceed. If you run out of health, you start over. The game is completed when you find the Sacred Amulet. 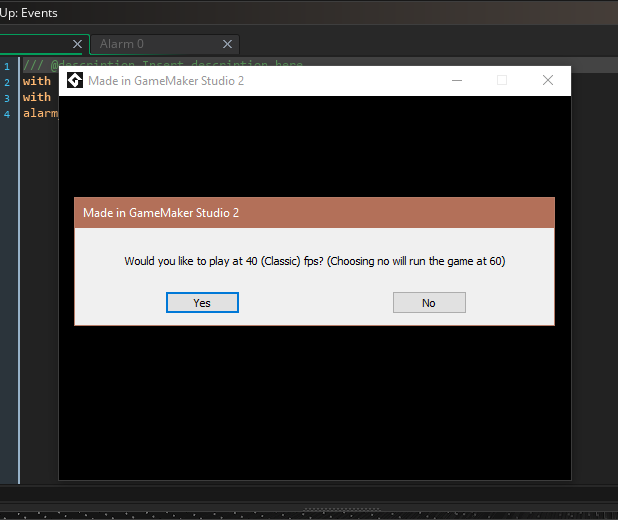 Here's how to be able to access it: you will need Game Maker Studio 2 to do so first. Click on the link, which will take you to its menu; click on the download icon; the third rightmost one to the top-right, and save it to wherever. 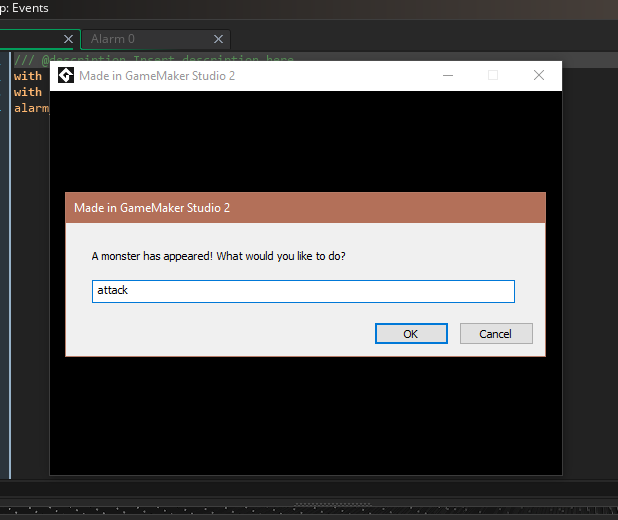 Then unzip the .zip file, download and open GMS2 and open the program in the folder, and click the "Run" button; the right-facing arrow in the top-left. reference ). I'm talking about the "actual" challenge involved with these games, and Billy Block will be no exception. 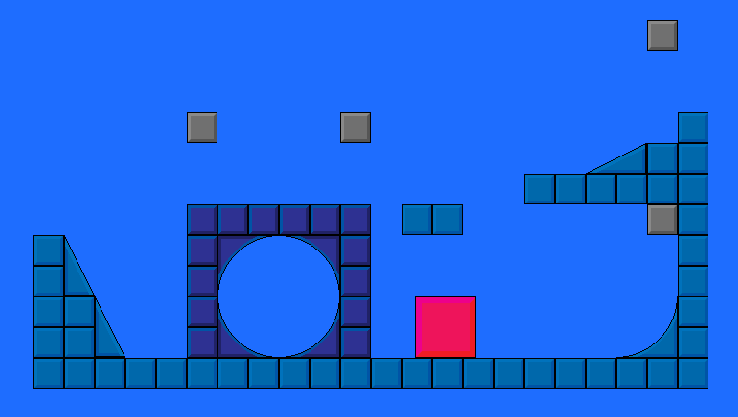 There will be 150 (I've just decided that number now) challenging levels for the player to complete, and uses mechanics similar to Lode Runner, Pitfall!, and Keystone Kapers (the latter two for their low jumps). I actually have more to show y'all; there will be backstories behind all those games, as well as, of course, updates to them, and more to them; and most importantly, links to download the files to play and test on your computer, so please stay tuned.